Is 'Windows Blue' a set of coordinated updates for all Microsoft products? When whispers about the rumored "Windows Blue" first broke late last year, they carried the tantalizing promise of Windows re-dos without all the waiting. It's never been clear whether Windows Blue is an update, a feature pack or a service pack—or if it's even real at all. But it sure does sound like a step in the right direction. Windows Blue, the reports said, will release Microsoft's flagship operating system from its stale two- to three-year upgrade cycles, and herald a new era of more frequent yearly updates. If true, it would represent a fundamental development shift for Microsoft. And now, ZDNet's Mary Jo Foley says that Windows Blue's fundamental changes won't be limited to Windows 8 alone. Instead, Foley says "one very accurate tipster of mine who doesn't want to be identified" told her that "Blue" is the codename for a swath of coordinated updates spanning an entire range of Microsoft products, all of which will land in the summer or fall. Windows Phone, Windows Server, Windows RT, and various Windows-centric services such as SkyDrive and Outlook.com all allegedly have "Blue" updates in the works. Like Windows itself, the other Microsoft platforms have traditionally used an upgrade cycle of two years to three years, with major changes appearing in each iteration. Frankly, that approach just doesn't cut it anymore. As I mentioned in my initial analysis of the Windows Blue rumor, the world moves at a much faster pace these days—a pace that makes the typical Microsoftian cycle seem positively glacial. Need proof? In the three-year gap between the launches of Windows 7 and Windows 8, we witnessed the meteoric rise (and rapid, repeated reinvention) of the entire tablet genre that now threatens to cannibalize PC sales en masse. More frequent updates would enable Microsoft's software to stay neck-and-neck with its fast-moving competitors on the features front, and as result of such speedy reimaginings, refinements would be more incremental in nature—which would eliminate the kind of drastic, sweeping changes that are currently leaving Windows 8 adoptees in a tizzy. 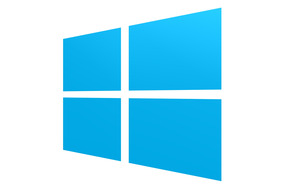 Foley's contact says the Windows Blue update may be offered in the Windows Store to encourage fast and widespread adoption. He also said that updated native apps and interface tweaks—please, oh please, bring back the Start button!—are likely to be included in Windows Blue. Updating Windows 8, RT, Phone, and Server all in one fell swoop also fits into another key alleged aspect of Windows Blue: Cross-platform unity. More frequent releases should reduce Windows' typical $100-plus price tag. Early reports said Windows Blue would merge or at least standardize the development SDK for the entire range of Windows platforms, making it easier to create apps and programs for Microsoft's myriad operating systems. Foley's source says the Blue wave of updates includes driver- and kernel-level tweaks, though backward compatibility with the current versions of Windows 8 and Windows Phone 8 are a priority. Finally, Microsoft has yet to confirm or deny Windows Blue, so you'll want to take this report with a pinch of salt. Nonetheless, the reports carry an aura of truth. The Windows Blue whispers we've heard so far come from Foley's ZDNet blog and The Verge—two tech websites with solid track records. In today's report, Foley even pointed to the LinkedIn profile of a Microsoft engineer that listed "Windows Blue" experience, though that portion has since been scrubbed to just read "Windows," separate from his Windows 7 and 8 experiences. The basic concepts at the heart of these Windows Blue rumors make too much sense to ignore. Even if Windows Blue turns out to be nothing more than rumor, mist, and shadows, Microsoft would be smart to pay attention to the nuggets of wisdom buried within the scuttlebutt.